Simple, small and petite– the first impression we have on Sumo Onigiri when visiting the shop in Uptown Damansara last weekend. 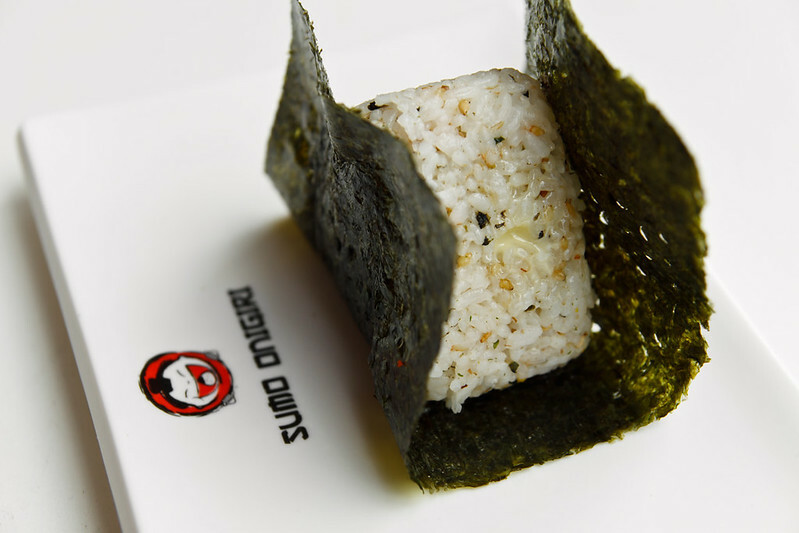 As it is named, Sumo Onigiri sells onigiri, which is a type of Japanese rice balls that are usually shaped into triangle, oval or sphere with filling in the middle. 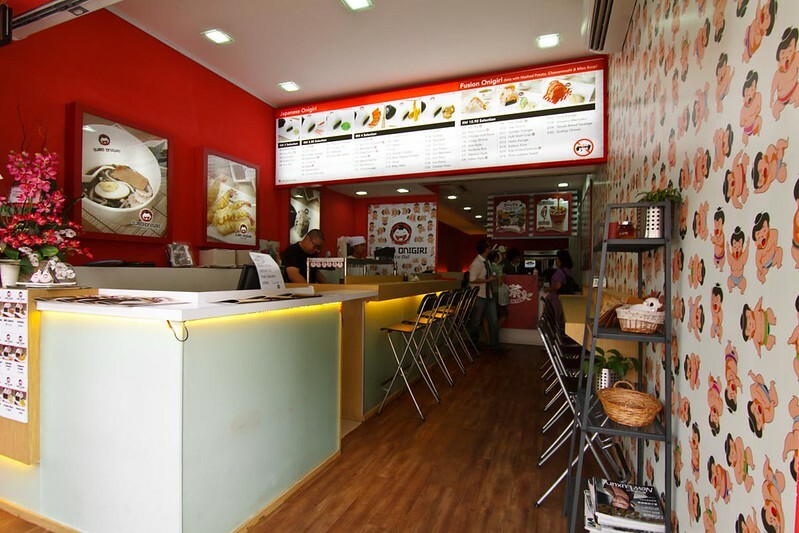 Onigiri made up most sections of their menu, but with wide varieties of fillings to choose from, Sumo Onigiri will assure you that your onigiri will never be bored. Their easy, on-the-go rice balls are great as snacks, as well as a meal. 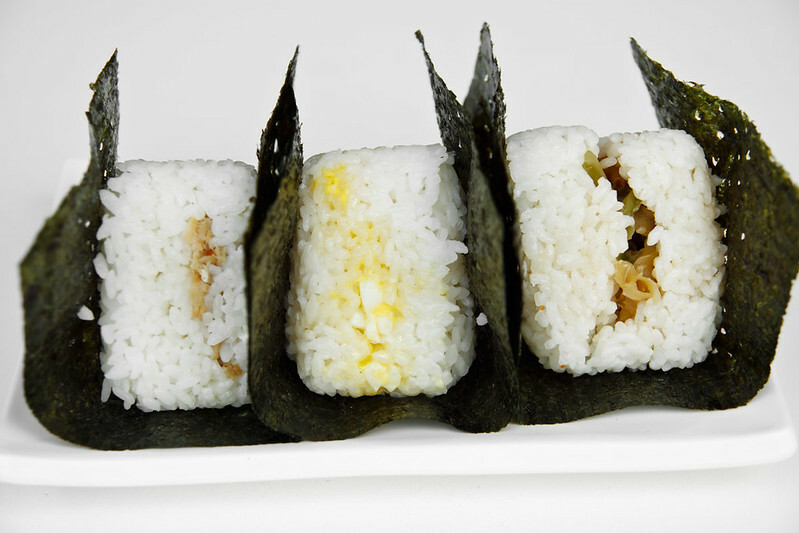 The simplest one will be their original onigiri, rice with one type of fillings. You can choose among potato mayo, egg mayo, cucumber, sweet corn, tuna, kani mayo, cheese sausage, katsubushi, umebushi, ebiko, wasabi ebiko, chicken kara-ake, pop corn chicken, tamgo yaki, wakame and ikan bilis sambal. All priced between RM3.00 to RM3.50. 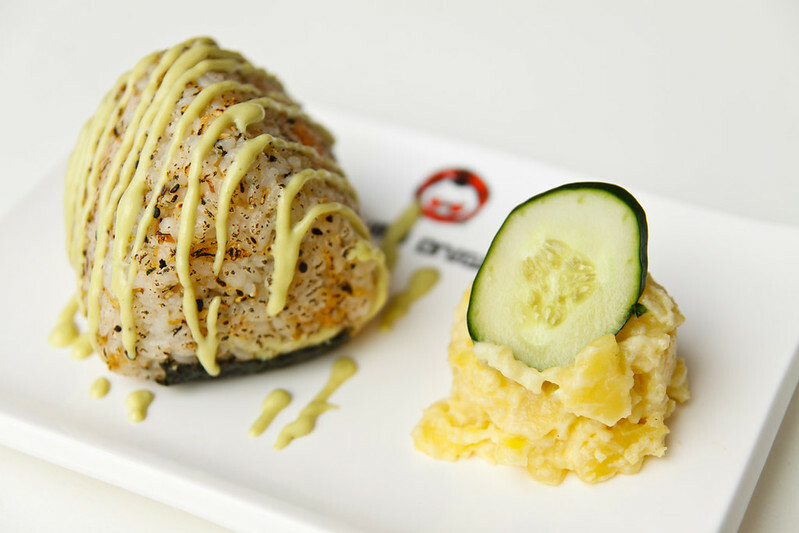 Among all, we like the Tuna Onigiri the most, as the creamy spread pairs so well with the Japanese rice, as if two flavours are integrated to one. Spotted Ikan Bilis Sambal at the end of the list, will try out this local and Japanese combinations the next time. 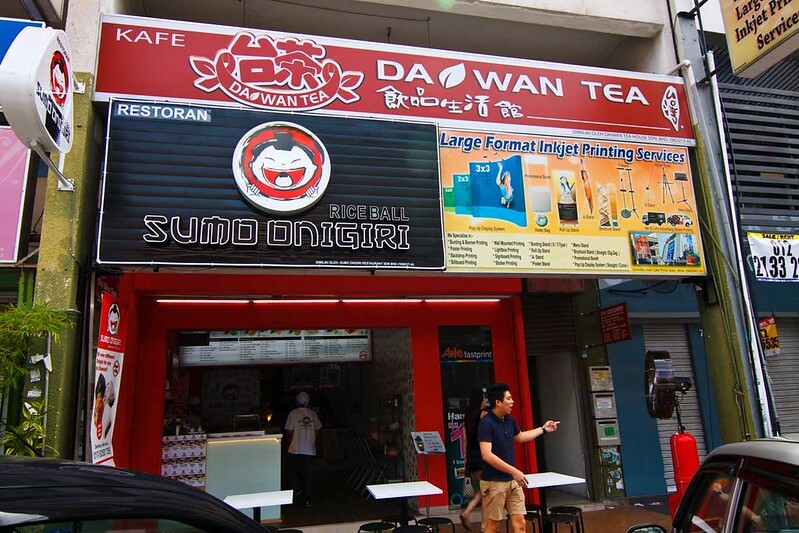 The list continues with slightly increased price, RM4.00 onigiri. The fillings are now more meaty, such as teriyaki chicken, scallop, BBQ beef, chicken floss, BBQ salmon, Ban Ban Ji Chicken, Furikake, black pepper chicken, ebi tempura, fresh salmon, unagi, furi prawn, furi mentaiko, etc..
For the Furikake Onigiri, we get plain Japanese rice with sesames. More flavours, more aroma, thanks to the white sesame and black sesame. 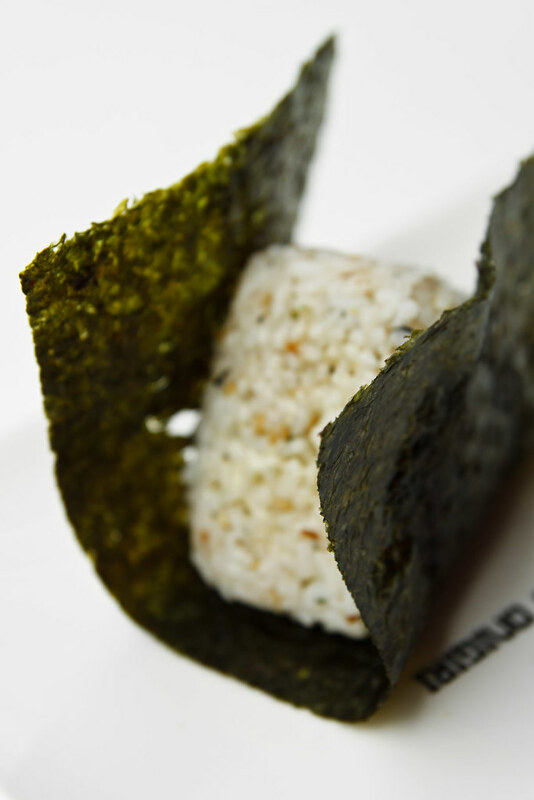 Not to forget, each of the onigiri comes with whole piece toasted seaweed nicely wrapped around it. Have them all together fast to get a soft and crunchy sensation. Else, the satisfaction will be lowered down, as the crunchiness is soften by the moisture of the rice. 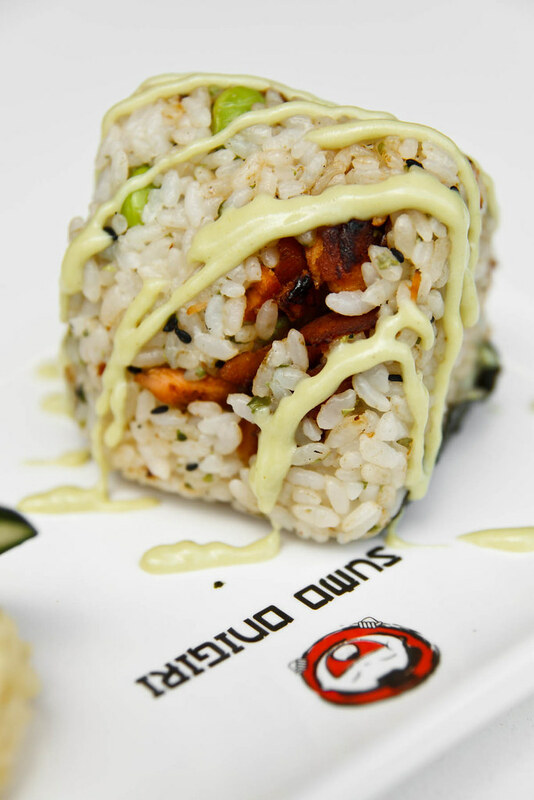 As we flipped through the menu, we find Fusion Onigiri too. 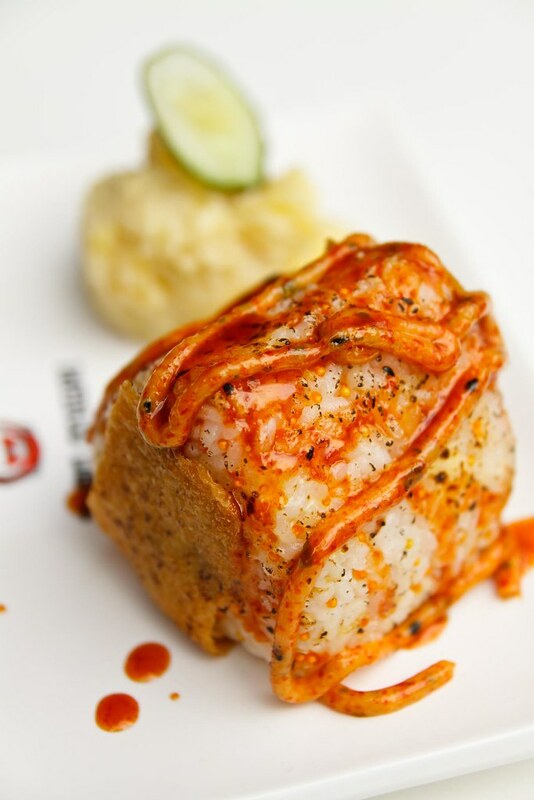 For this Fusion Onigiri, we get out of the box combinations, but the basic traditionality of origini is remained. 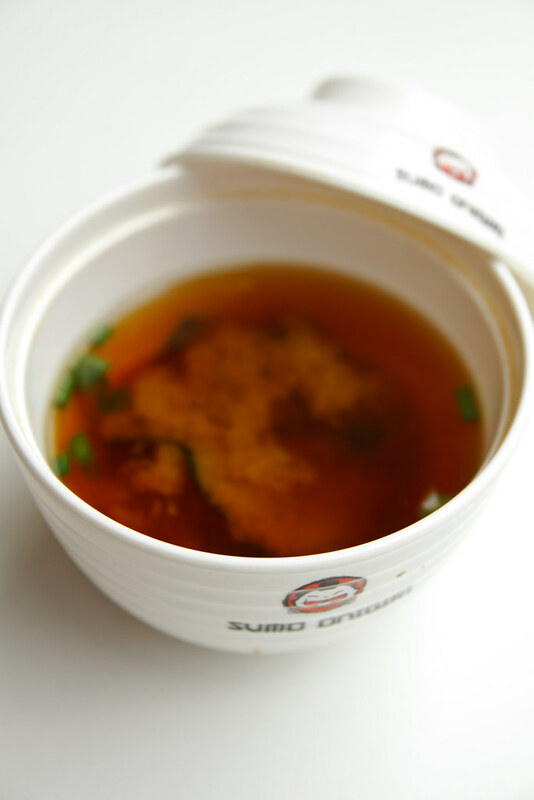 Fusion is a sign of creation, an effort of experimenting and combining different flavours. It brings in new things, new taste, like what we have here. Take the Eda Grilled Salmon as example, we got edamame, grilled salmon chunks, fish roe, and egg bits within the rice. 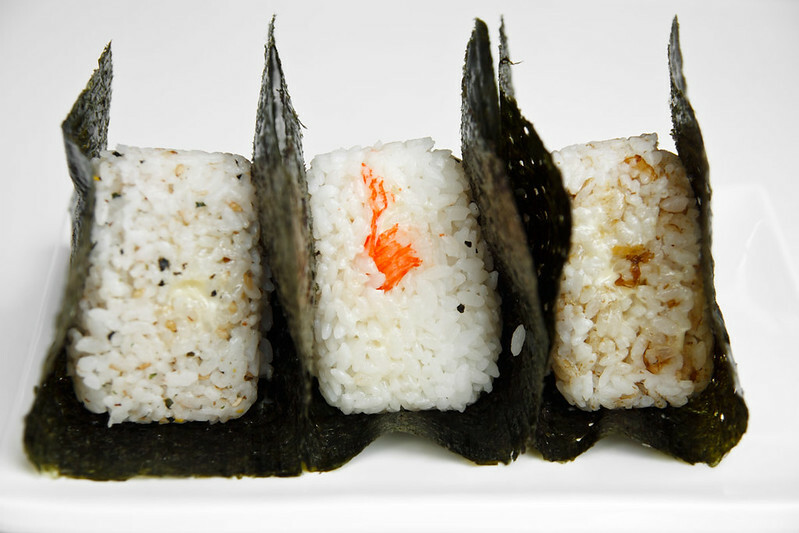 The onigiri surprisingly taste better with the wasabi mayonaise lacing over it. Good. In fact, all these Fusion Onigiri tastes differently from the oringinal ones, as they are more complex, more flavourful. The rice is tossed with fish roe and egg bits, so we get playful popping bits while munching on. Golden Triangle is also one of the highly recommended. 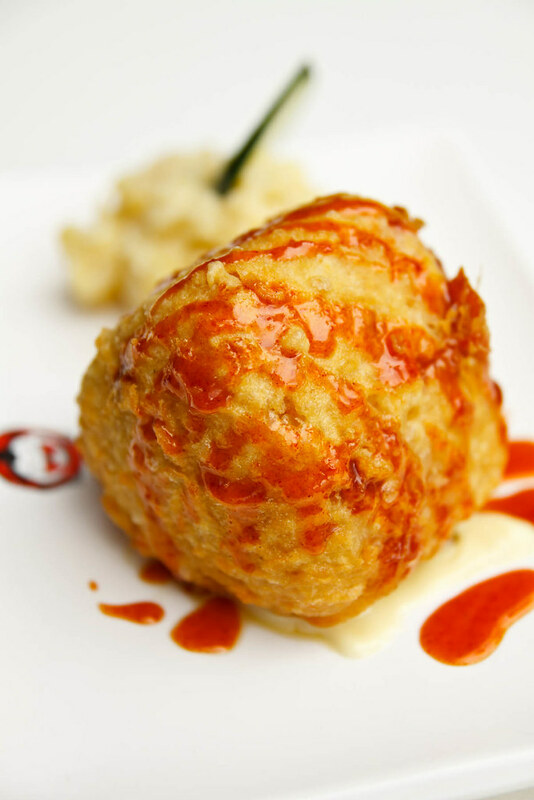 Stuffed with cheese and deep fried, this pipping hot onigiri is crispy outside, fluffy inside, with sinfully delicious melting cheese oozing out once cutting through. Awesome. More to come. Ebi Ten, Western Style, Crispy Shrimp, Furi Idako, all these ingredients tastes good with it. We do like the idea of putting cheese together with the rice, and recommend Western Style Onigiri to those who feel that plain rice is too one dimensional for them. 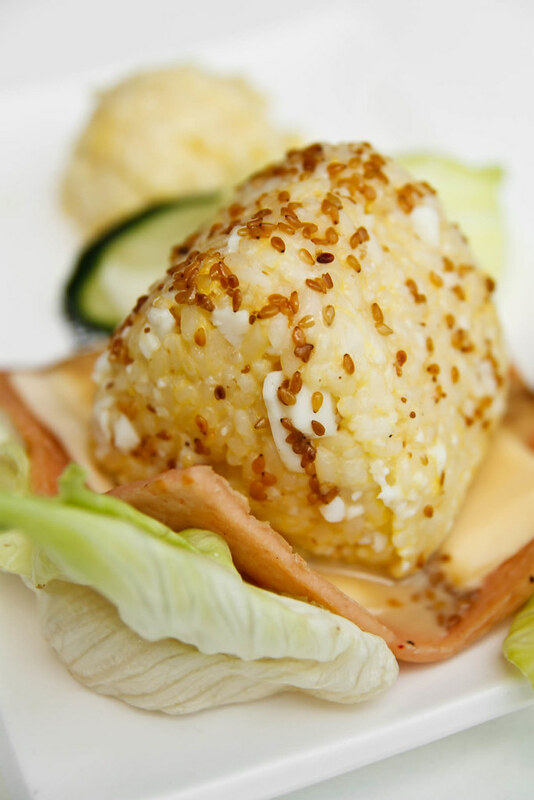 The rich saltiness of cheese and smoky savouriness of ham will make your onigiri more enjoyable. Every of this Fusion Onigiri comes together with mashed potatoes, chawanmushi and miso soup, priced only at RM10.90 per set. You will be full by the time you finished everything. For take away, it is priced at RM8.90, comes with only mashed potato. Tasted average, but ideal to warm up the stomach. Looks simple. So simple that we doubt the taste. But it turns out good. 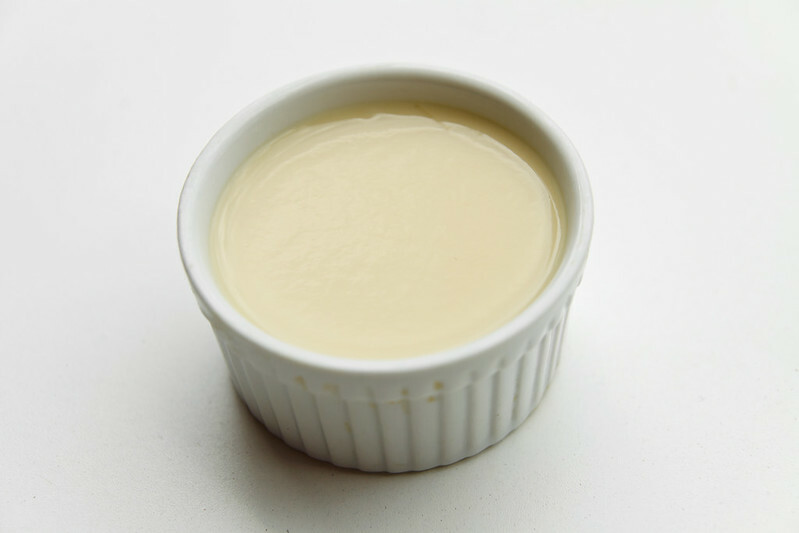 It is light, soft, silky smooth in every spoonful. 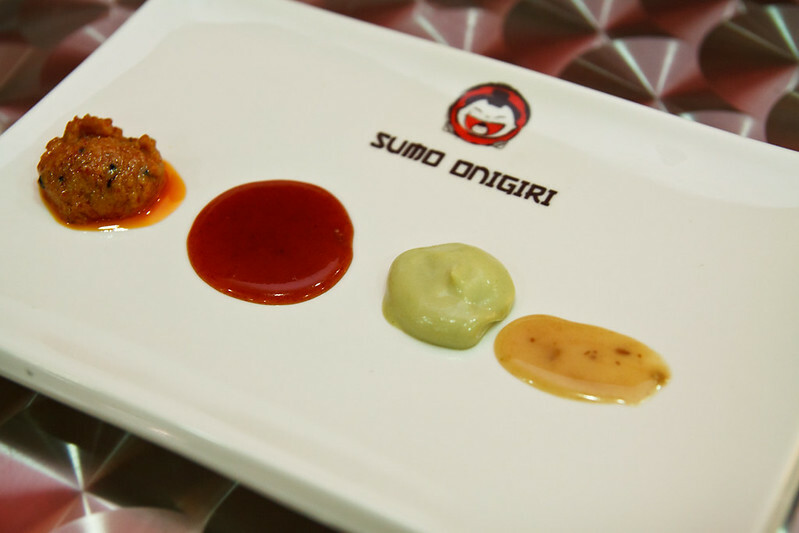 Special sauce: Kimchi sauce, spicy sauce, wasabi mayonnaise and sesame wafu dressing. 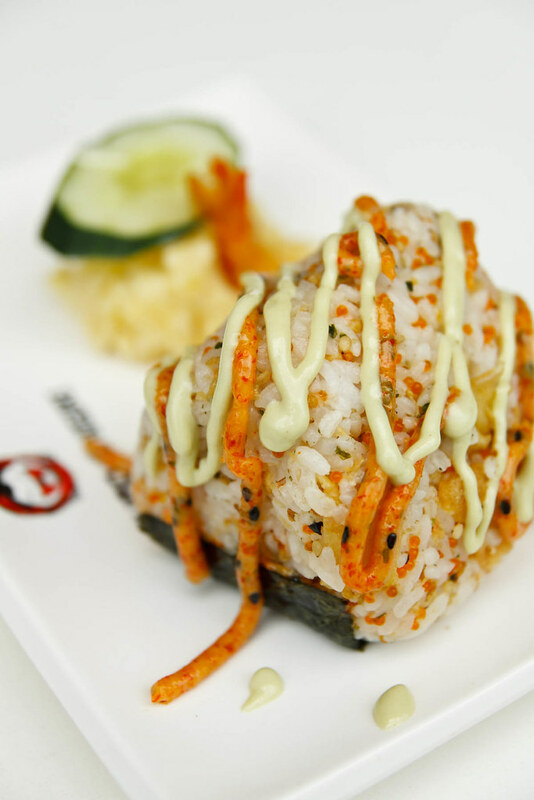 Wasabi mayo and Kimchi sauce are our pick, as the former is creamy and mildly piquant while the later is hot, fiery spicy. 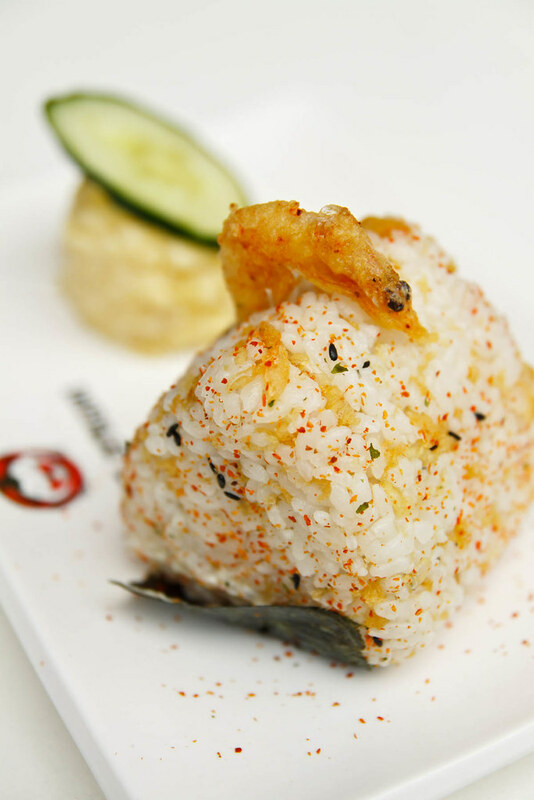 Definitely worth putting a spoonful to your rice as they will bring your onigiri to another level of flavour. 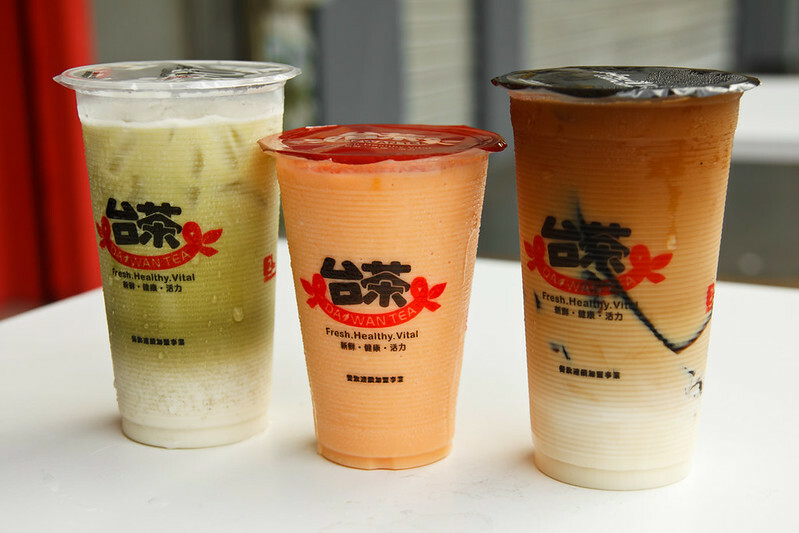 The shop is partition with another small kiosk selling a range of Taiwanese Tea, such as grass jelly milk tea, green tea milk tea, bubble milk tea, papaya milk shake, etc. So, do grab a cup of the Taiwanese Tea too if when munching on your onigiri. Hye . I just want to ask . Is this halal ? Coz i’m craving it so badly ?